Alicia holds a diverse array of cross-disciplinary conceptual knowledge about disabilities, accessibility, and accessibility-related standards. As the Project Lead and Chief Educator she provides ongoing guidance to the team, on issues of strategy, management, process, and conflict resolution. Alicia earned Trusted Tester certificate #301234 from OAST. Susan has extensive experience in customer service, which allows her to identify the most important accessibility issues to be resolved. She has worked on developing creative solutions to mobility challenges experienced by hospice patients and also co-facilitates wellness classes, and is applying that to online accessibility. Nichole is our Collaborative Accessibility Portal specialist. She enjoys helping disabled people increase their online independence. She is passionate about learning new accessibility techniques that give the disabled a seat at our country's digital table. Bridget is a certified Trusted Tester (#301256) who comes from a freelance graphics background and is currently focused on bridging the seemingly opposing realms of website design aesthetics and online accessibility. She looks forward to showing webmasters that powerful imagery and a dynamic design can coexist with accessibility. Juliette is a certified Trusted Tester (#301232) through OASTand Web Accessibility Specialist certified by the International Association of Accessibility Professionals, specializing in automation and quality control processes. The automation tools she has developed for Access2online ensure that our anyalysts produce a workproduct of consistent quality, enabling them to respect client deadlines. As our Technical Lead, Juliette is responsible for researching and applying emerging accessibility technologies to Access2online's processes. 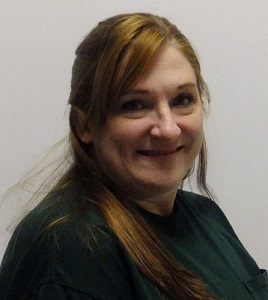 While incaracerted she has secured a Bachelor's degree in Criminology through Colorado State University, and is now dedicated to ensuring reduced recidivism rates for fellow inmates through the Access2online program. Jaquelyn is Access2online's specialist in web design that is accessible to the disabled. She is a certified Trusted Tester (#301240) through the DHS's Office of Accessible Systems & Technology & also specializes in quality assurance review of our products upon completion prior to delivery. This helps her produce clear and concise violation spreadsheets and remediation recommendations for webmasters in maintenance mode. She is committed to producing quality deliverables for Access2online's customers, promoting the support of assistive technologies, & helping the disabled attain equal access to the web. Her outside focus currently lies in achieving an associate's degree in Christian ministry & directly affects her vision for Access2online. Marisol is our Quality Assurance expert. Because every Access2online deliverable is subject to a QA review before being presented to a client, Marisol makes sure that review follows an objective, structured methodology to ensure that Access2online's reports are beyond expectations in terms of standards and value. She is also fluent in Spanish and is tasked with our bilingual accessibility audits. Previous to Access2online, Marisol helped build a database for tracking life cycles and rearing practices for an endangered species, with her focus on quality and usability of the final deliverable. Nailah is an OAST certified Trusted Tester (#301251) and proficient with both WCAG 2.0 and 2.1. Her specialty is in PDF analysis and remediation. Brookey brings a 25-year background in technical writing within the world of IT. She applies that to ensure Access2online's Summary of Webmaster Accessibility Remediations, one of our most important deliverables, is clear, concise, and applicable even to webmasters without accessibility experience.